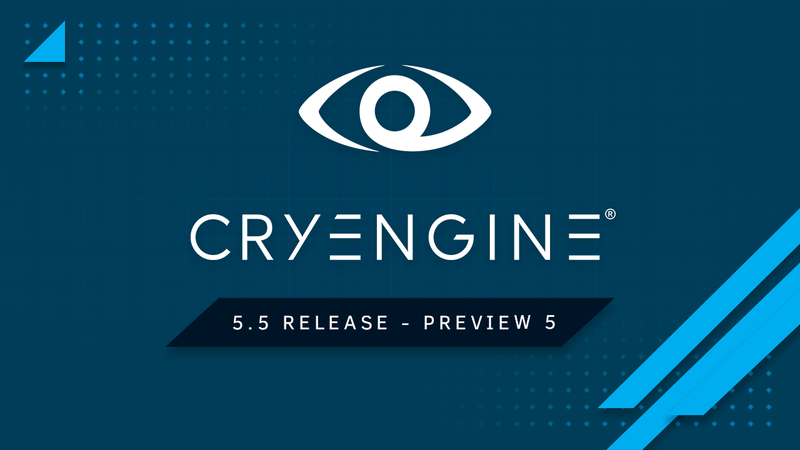 Welcome to CRYENGINE 5.5 Preview 5! As you know, work never stops on the development of the engine, and today’s update pushes things forward with 400+ improvements, including 7 months worth of rendering changes & fixes. We couldn’t have put this update together without the help of our community, so as ever, we’d like to thank everyone for all your feedback and suggestions. Keep it coming! All Known Issues are Work in Progress. If you encounter those or similar problems please let us know, but be aware that we are already looking into it. RENDERER: Reflections are broken if a material is attached to a object. Can be tweaked with "r_ssreflsamples" and "r_ssrefldistance". CRASH: Game will crash on startup with Vulkan. PARTICLE EDITOR: Changes to a particle effect in the new Particle Editor are not directly applied to the Particle Effect instances in the level (currently a level reload is necessary). CRASH: Occasionally the editor crashes if a particle effect is placed in the level and is opened in Particle Editor. DESIGNER TOOL: (VS2017) Objects may be invisible after levelload/chainload. Workaround: Enable, then disable e_permanentRenderObjects 0/1. As we have 400+ new changes, fixes and updates, including [b 200+ in the rendering department [/b]alone. Check out the full list on our Release Notes page on CRYENGINE Documentation. Updated to Wwise SDK v2017.2.6 build 6636. Updated to Fmod Studio 1.10.06. Updated Oculus spatializer plugin for Wwise 1.27.0. New: View dist ratio for clip volumes. New: Added feature light lens flare. Fixed: Bug where m_fZoomDistanceSq would change during successive render passes and cause culling of attachments during skinning. Fixed: Map load causes collider component settings to change. Fixed: Crash when opening a certain Particle Effect. Fixed: Missing WaterDDN in vertex-shader. Fixed: SVOGI in combination with forward tiled. Fixed: Emitters not activating properly (muzzle flashes etc.). Fixed: C# solution not being generated for non-C# projects in the Sandbox Editor (when the first C# file is added). Fixed: Crash in obtaining help info in python module after VS 2017.7 compilation. Autocomplete data is generated by pythoneditor.generate_pythoneditor_autocomplete_files. Fixed: .level.cryasset file is not generated after upgrading levels from .cry to .level. 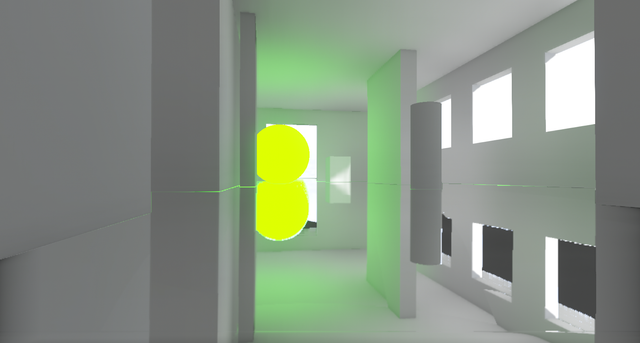 Fixed: Not enough occlusion if offline voxelization for GI is used. Reminder: This is an experimental release and features are subject to changes, bugs, and gremlins, as you’d expect with a beta production. Please back up your projects before working with any of our latest builds to make sure your core project is safe. If you find an issue please reach out to us via the feedback thread or report issues via GitHub Issue Reporter. We hope you enjoy the build and we look forward to seeing what you can do with it. How to report Crashes: In case of engine crashes, please use the Crash Reporter in the launcher when it pops up and don't forget to attach all reports! We hope you enjoy the build and we look forward to seeing what you can do with it. For guides on how to best submit an issue or if you need to contact customer support, please review the 'How to contact CRYENGINE Official Support Channels' landing thread on the forum. You can also discuss the news with our devs and your fellow CryENGINEERs on our CRYENGINE Community Discord channel. Bugs in the editor.Open Maps or create Maps!!!! This update is very unstable for me. Is there a way to migrate back to a previous Preview version? This is an 'Improved CryEngine' preview-5 repo. Bug fixes, moar SDK's, works straight out of the box with a sample project to boot. I can not work with the editor.Because it crashes. We always point out that it makes sense to save a backup of your project so you can roll-back. Every Preview Release is not a production ready release and will be a work in progress; however, some fixes are already in and it shouldn't take as long for the next update to come around. If these crashes aren't any of the Known Issues mentioned above, please make sure to send a crash report via the pop up in your launcher. You can also write a bug report on CRYENGINE on GitHub so we can look into it. Oh my God! you have improved Screen Space Reflection, finally cheers!